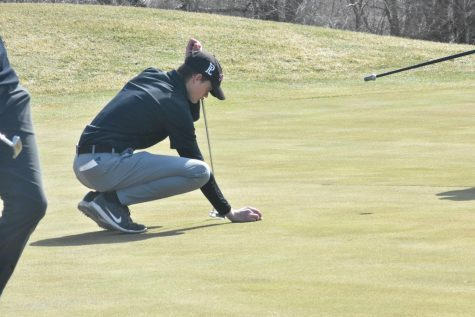 Senior Nolan Vondra puts down his marker on the putting green in the PLHS PLSHS tournament. 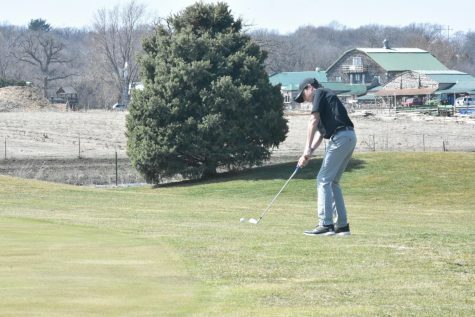 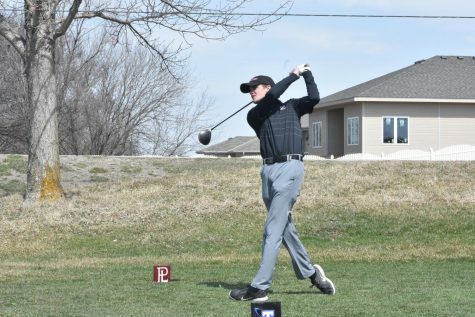 Senior Nolan Vondra tees off on the back holes at Eagle Hills golf course. 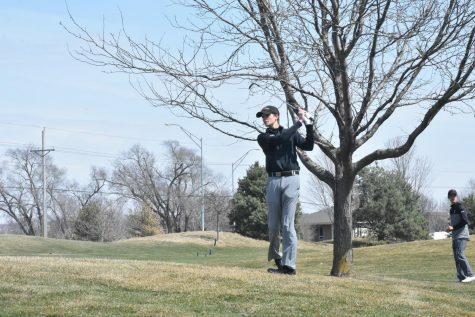 Senior Nolan Vondra swings on the second hole of the golf tournament. 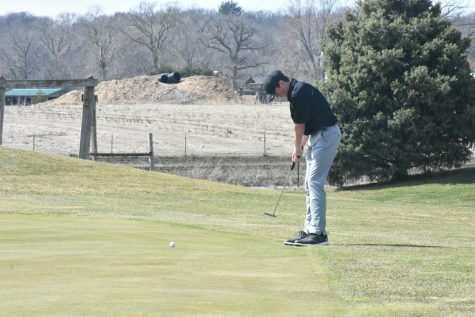 Christian Holloway chips his ball onto the green on hole 14 at the Eagle Hills golf tournament. 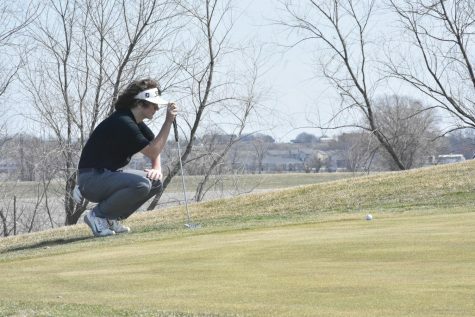 Sophomore Christian Holloway puts at the PLHS PLSHS golf tournament. 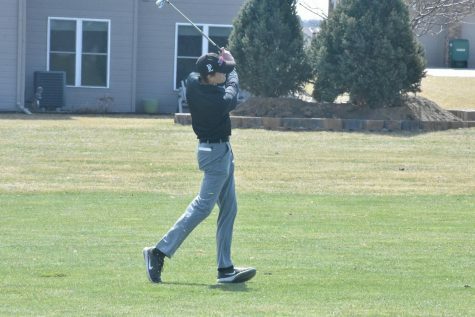 Freshman Jack Davis lines up his putter. 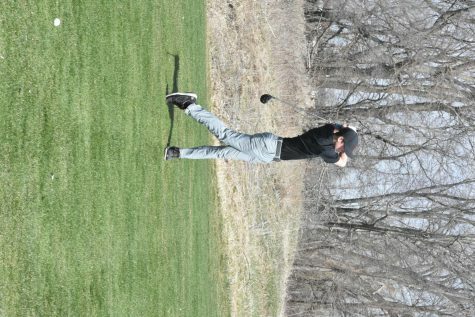 Christian Holloway swings in the Eagle Hills golf tournament. 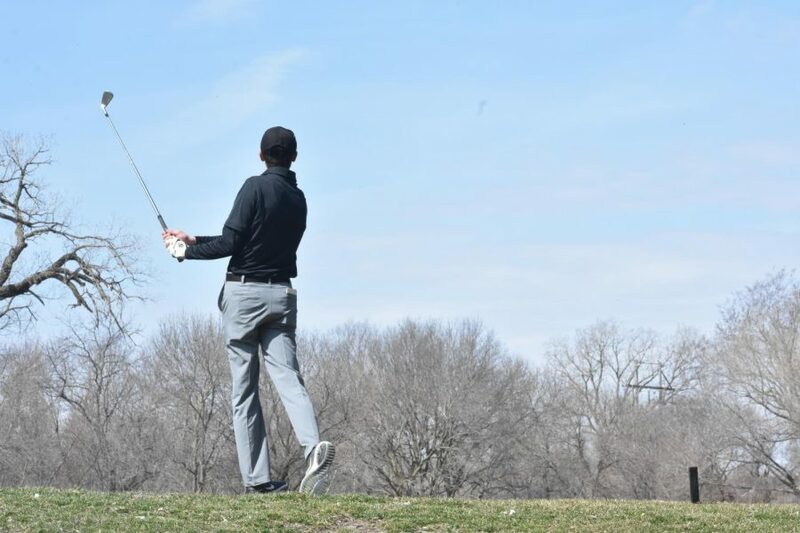 Senior Nolan Vondra swings on the 1st hole at Eagle Hills. 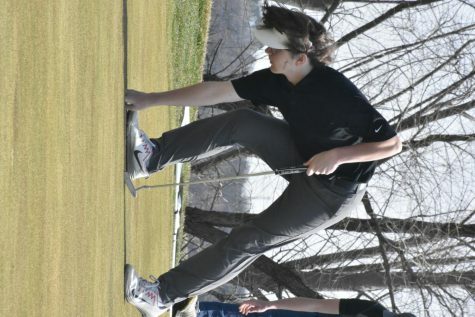 Freshman Jack Davis pulls his ball out of the hole on the putting green. Senior Nolan Vondra tees off on the first hole at Eagle Hills. 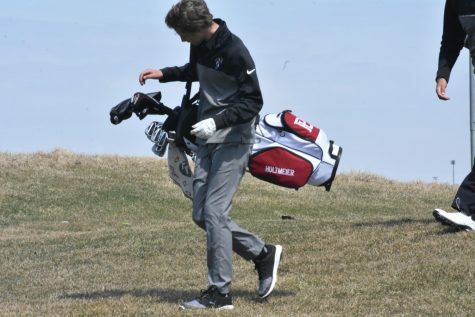 Sophomore Sebastian Holtmeier walks to his ball on the first hole.